At the age of 32 I think I am on the verge of being a child of the digital age and one who remembers the good old fashioned letter. I remember a time when mobiles were huge bricks and that people first called the Internet a ‘fad’, but my lifestyle now revolves, like many, around technology. In fact in planning a trip to the French Riviera I refuse to stay anywhere without wi-fi, which as many know in some rural areas of France can eliminate the whole town! My language skills have become a hybrid between eloquent flowing descriptions to short electronic correspondence without grammar or prose. So why the reflection? 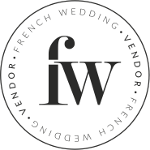 There are some fabulous wedding media outlets and experts that I respect and have had brief electronic correspondence with, that I am seeking to contact to develop further collaborative relationships. 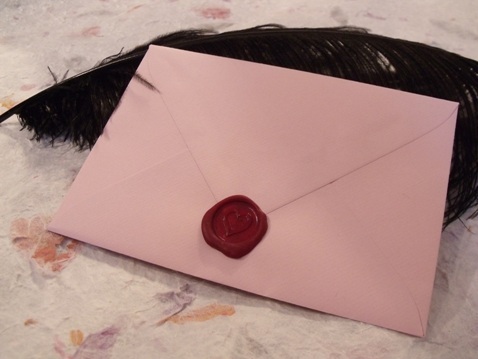 There are many elaborately designed direct mail pieces, gimics and innovative ways that I have seen people use to establish relationships, but I have decided to trust in the good old fashion letter and look at the dying art of letter writing. I recently read The Paris Wife by Paula McLain written from Hadley Richardson’s perspective, the first wife of Ernest Hemmingway. In their earlier courtship they relied on letters to express their intentions, share ideas and strip away bravado until the pen becomes a vehicle for transporting substance. Have you had that moment when a coloured envelope comes through the letterbox, neatly handwritten with a crisp stamp attached – you are immediately intrigued as to what could be inside? For me there is a little bit of a mystery around such a letter, as I know it is not a bill or junk mail, but that someone has taken the time out from their busy lives to send me something personal. I find myself opening them extremely carefully, so not to damage the precious cargo and unveil the mystery content. I have set aside some quality letterwriting time and have put together my introduction to handwritten letters, ready to go out into the world. Some will be going with an edible treat for the recipients to enjoy whilst reading the letters, others will be sent out into the world as letter alone. There is also a parallel with wedding invites and writing letters. As a newlywed it occurred to me that I spent a great deal of time with a designer creating my ideal wedding invites, which were sent out on mass to our wedding guests. The invites had all of the information required and were delivered in a pristine typed envelope. It was not until after the wedding that I took the time to write to each wedding guest personally and thank them for attending. Why did I not invest this time with the invites and individually write to invite each guest? Why is a personal thank you afterwards expected but an on mass invitation acceptable? How many brides reading this are taking the time to individually write to guests? I would love to know your thoughts on this one. Thank you for this post! I was really struggling with choosing my invitations because nothing felt personal enough to mark this very important time in our lives. I have been toying with the idea of hand-writing my invitations, but I now have been pushed to make the commitment. Wish me luck! Thanks for your comment Rebekah, I think that it is a wonderful investment of your time and sure your family will appreciate the personal gesture. Like a handwritten letter; I thoroughly enjoyed reading this Monique! As someone who enjoyed having ‘pen pals’ as a child and continued corresponding by letter with a friend in France for many years I agree that there is something very exciting and intriguing about receiving a piece of post that is not a bill or statement – particularly when it has an international post mark! So thank you for this piece, you have reminded me that there is someone I have been meaning to write to for some time, it will be my job for this evening! Bonjour Toni, thank you for your comment and enjoy writing your letter this evening.